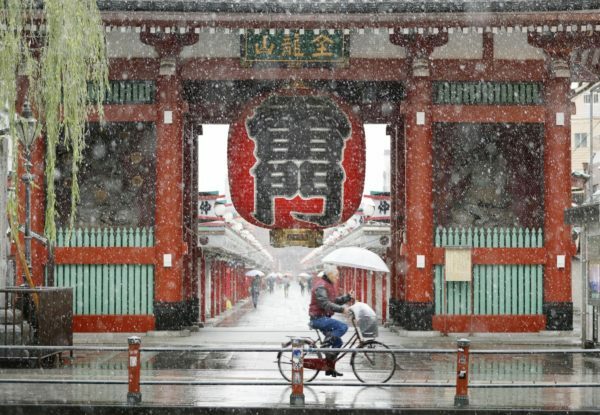 Japan’s capital is experiencing its first November snowfall in 54 years. The last time it snowed in Tokyo in November was in 1962. Tokyo residents were taken by surprise, as the temperatures around this time of the year usually range from 10C to 17C. It is the first time fallen snow has been seen on the ground in Tokyo in November since records started to be taken in 1875. According to the Japan Times, the Japan Meteorological Agency (JMA) also warned of possible icy roads, snow on electric wires and trees, and the collapse of plastic greenhouses.